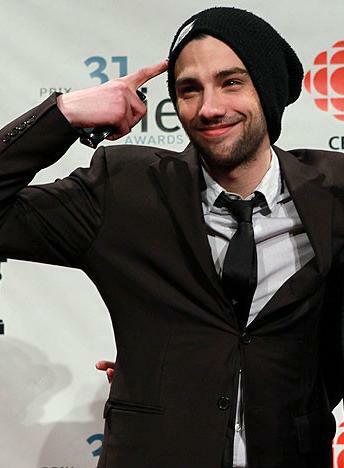 At the Genie Awards tonight Jay Baruchel won the Users Choice Award for Trotsky (Yay Jay!) and while accepting his award he said, "I would like to thank my fiancee Alison Pill." Noooooooooooooooooooooooooooooooooooooooooooooooooooooo. This is quite seriously what I said when I saw this. Jay Baruchel is getting married...it was pretty much yesterday that I found out he was even dating Pill, but now they are tying the knot. So not cool. Jay told ET Canada that they were going to be ripping out my heart sometime in September.